This book charts Carl Gustav Jung's 32-year correspondence with James Kirsch, a German-Jewish psychiatrist who founded Jungian communities in Berlin, Tel Aviv, London, and Los Angeles, and adds depth and complexity to the previously published record of the early Jungian movement. Their letters tell of heroic survival, brilliant creativity, and the building of generative institutions; but these themes are also darkened by personal and collective shadows. The Nazi era looms over the first half of the book and shapes the story in ways that are fateful not only for Kirsch and his career but also for Jung and his. 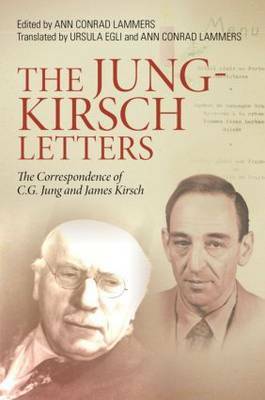 In 1934, fearing that the undertow of anti-Semitism had taken hold of his beloved teacher, Kirsch challenged Jung to explain some of his publications for the German-dominated (now Nazi-dominated) International Society for Psychotherapy. Jung's answer convinced Kirsch of his sincerity, and from then on Kirsch defended him fiercely against any allegation of anti-Semitism. The letters are translated here for the first time and the illuminating editorial commentary provides unique and incisive insights into the writers' world. Supported by appendices, including a series of revealing letters between Hilde Kirsch and Jung, The Jung-Kirsch Letters is an invaluable resource for those in the fields of analytical psychology and Jungian studies, as well as all those with an interest in learning more about the historical and cultural origins of the Jungian movement.